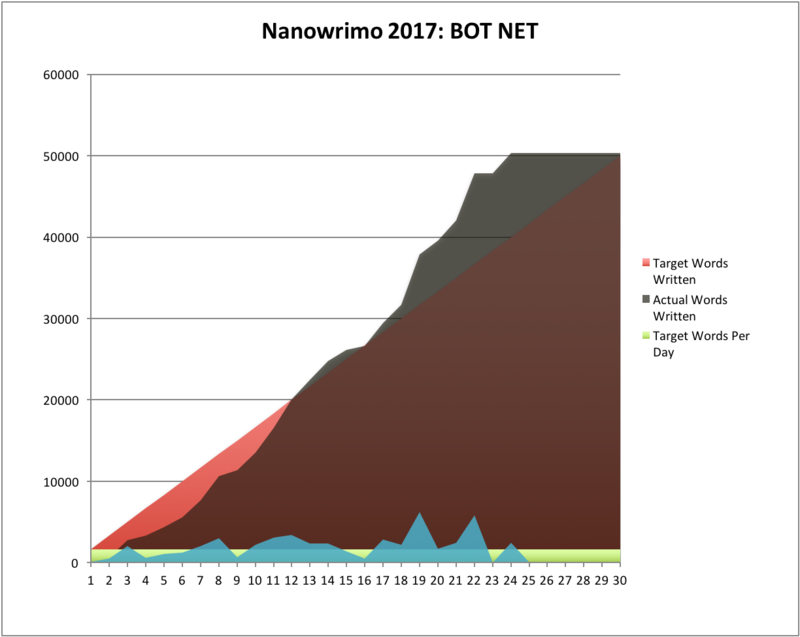 National Novel Writing Month, Camp Nano, and similar challenges. 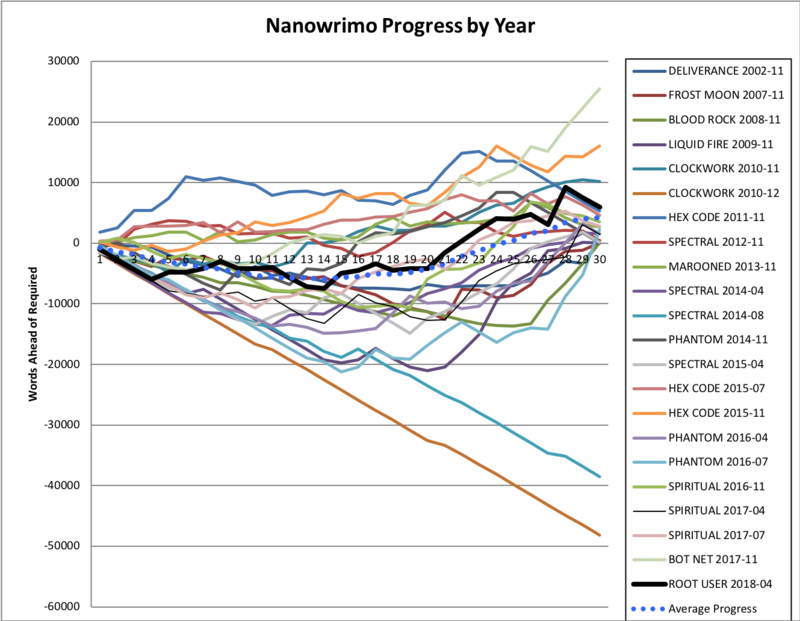 Hey gang, now that I’ve succeeded at National Novel Writing Month nineteen times, I thought I’d take a little time out to tell you that my secret to National Novel Writing Month success is to put Nano first. Now, that seems obvious – almost, like, too obvious to be advice – but I want to put it into perspective by first asking you a few questions. 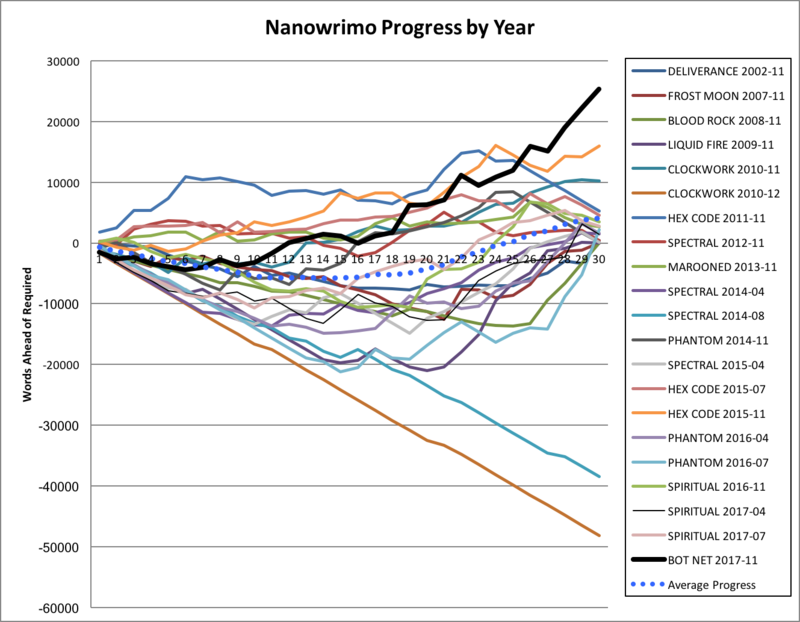 Do you care about finishing what you write? If you don’t, don’t worry about the above advice. Write what you want, how you want it, when you want it. Again, this seems obvious, but I want to make sure you understand whether this advice applies to you. I started to write “Do you care about writing success?” but then I realized everyone has their own definition of writing success, whether they realize it or not. A beloved friend, Jan, just died, and I will never again hear her read her stories at our local writing group – and you’re never likely to read them, as she was more into having fun writing than she ever was about getting her stories published. She was a success at writing without ever needing publication, or even necessarily to to finish everything she wrote. We’ll miss you, Jan, but we’ll never worry about whether you were having fun: that was obvious. 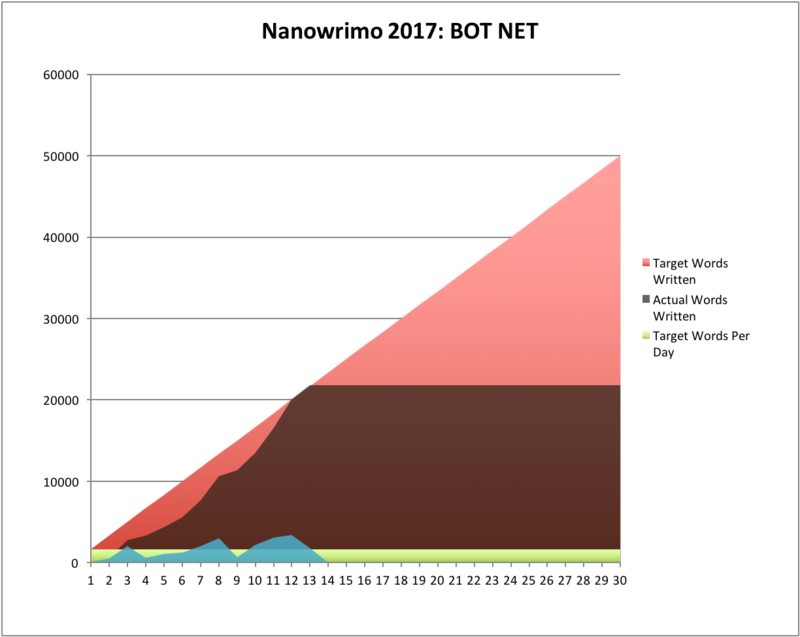 Do you care about completing Nanowrimo? 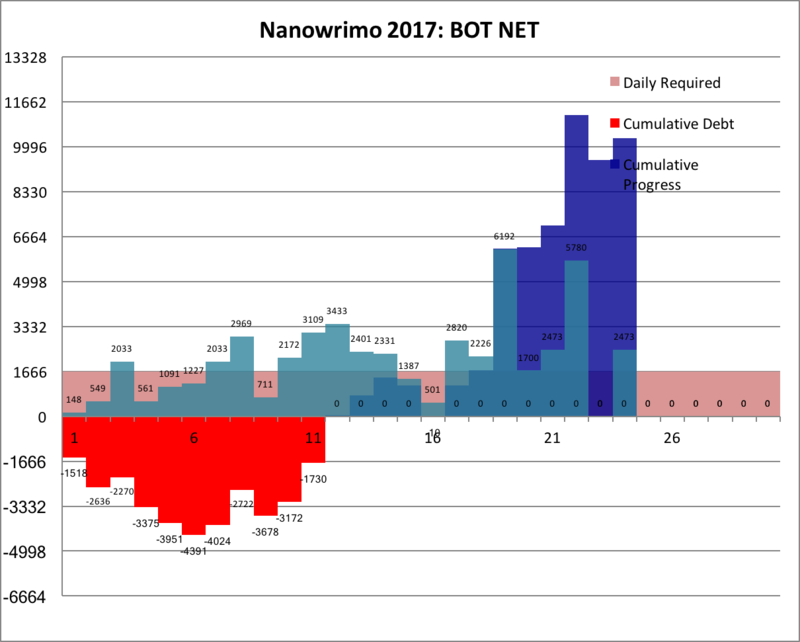 Again, I almost wrote “Do you care about succeeding at Nano” as I did in the title of this essay, but every word is a victory in National Novel Writing Month. 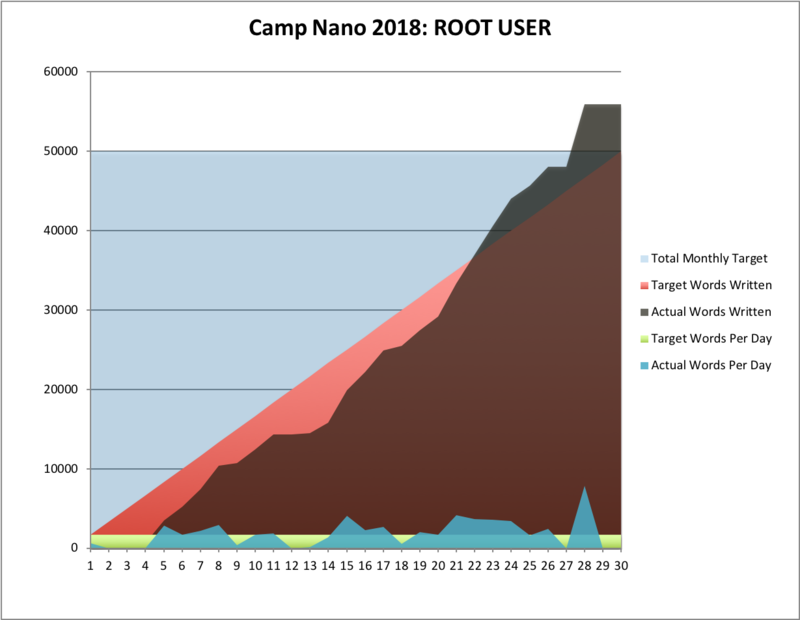 It doesn’t really matter whether you wrote one word or a hundred thousand if Nano helped you write it. But, again, if you don’t care whether you hit that magic 50K, then don’t worry about the advice in this article. 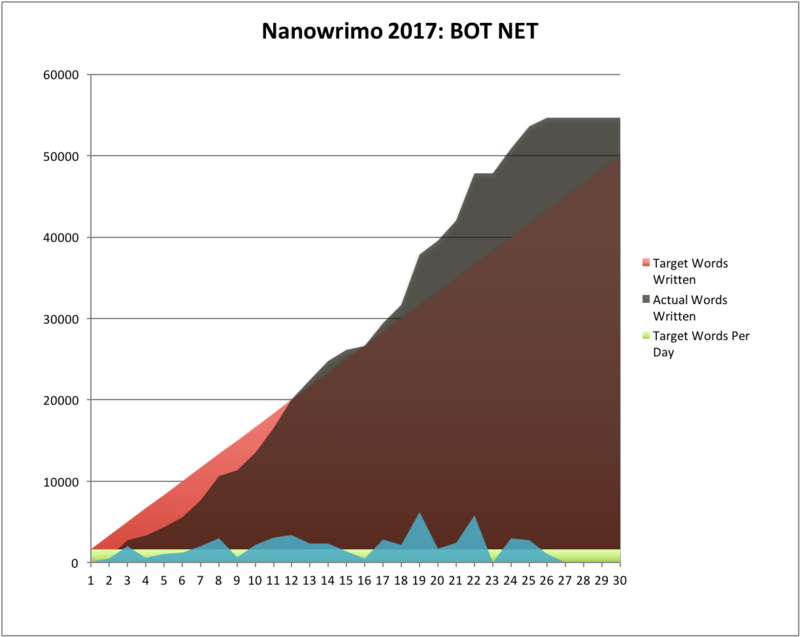 Do you care more about finishing Nanowrimo than doing the comfortable things that you’ve always done? This is the most important part. Some people need to wait for their muse. Some need to plan ahead. Some need to do other things that seem so important to them. Maybe they are. 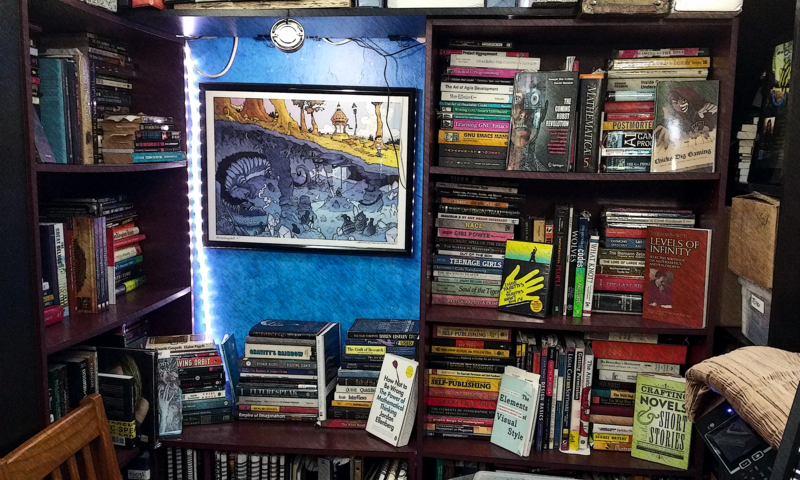 But given my writing style, those things don’t seem so important to me, and given my obsessive-compulsive personality, I’m not going to take on a challenge unless I intend to finish it. But maybe that’s not you: you need your outline or your muse or your whatever in your life to make writing possible. That’s OK! I know great writers like that. 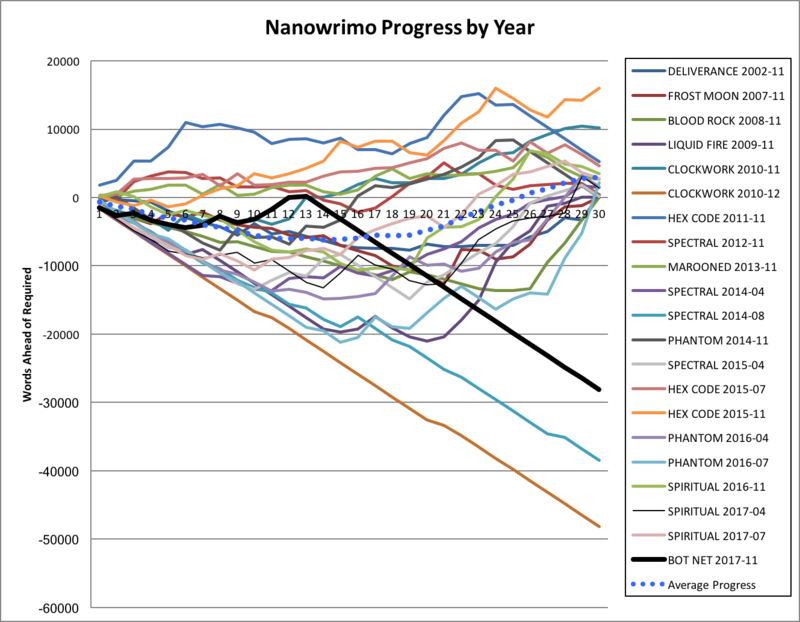 They don’t generally take on Nanowrimo, that’s all, as Nanowrimo doesn’t work for them. Put completing National Novel Writing Month first. Turn off your Internet. Frequently when writing, I hit a speedbump, go look something up, and dig into Wikipedia or TV Tropes or (no joke) find myself reading the city planning documents of a harbor community in Newfoundland to carefully craft some details that will only appear in a paragraph or two of a whole novel. That’s my process, and it’s produced a number of well-received novels of which I’m proud. During National Novel Writing Month, however, I frequently turn off the Internet on my laptop until I’ve gotten my magic 1,666 words per day. Put off your Blogging. I like to blog, but it seems I don’t do a lot of it. 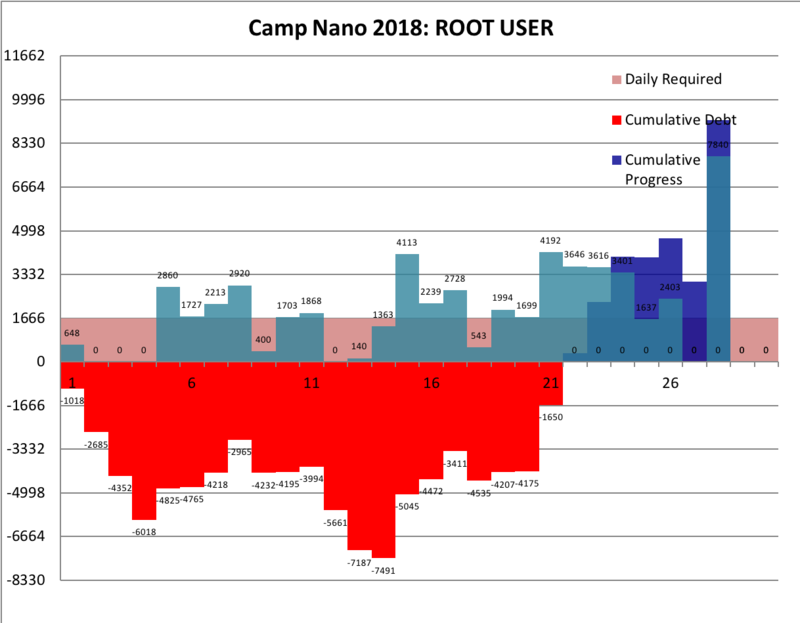 The reason for this is that I’ve started doing Nano-like challenges three times per year – Camp Nano in April and July, plus Nano in November – and the rest of the time I focus on finishing manuscripts, editing them, or publishing other people’s manuscripts. 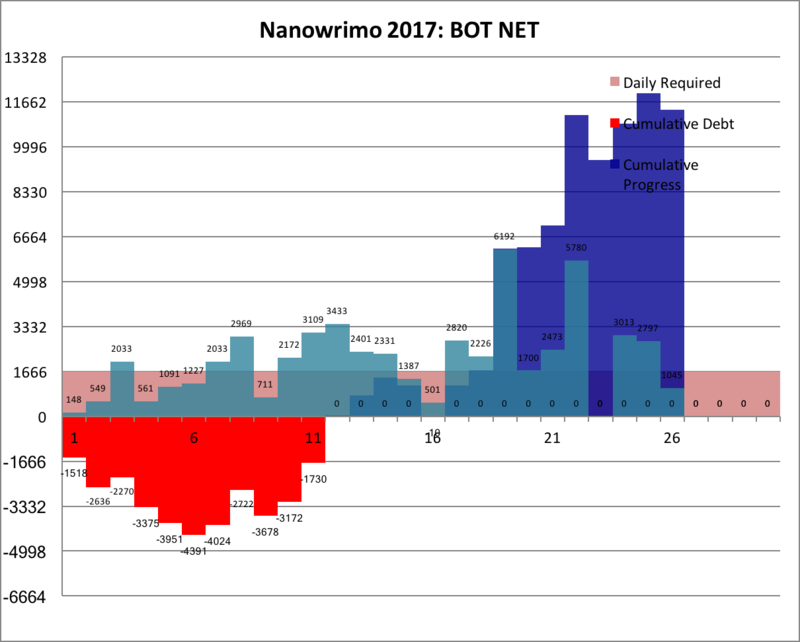 I have dozens upon dozens of notes for blogposts written on scraps, stored in Scrivener files, even half-finished in Ecto; but during Nano, I put Nano first. Research after you Write. 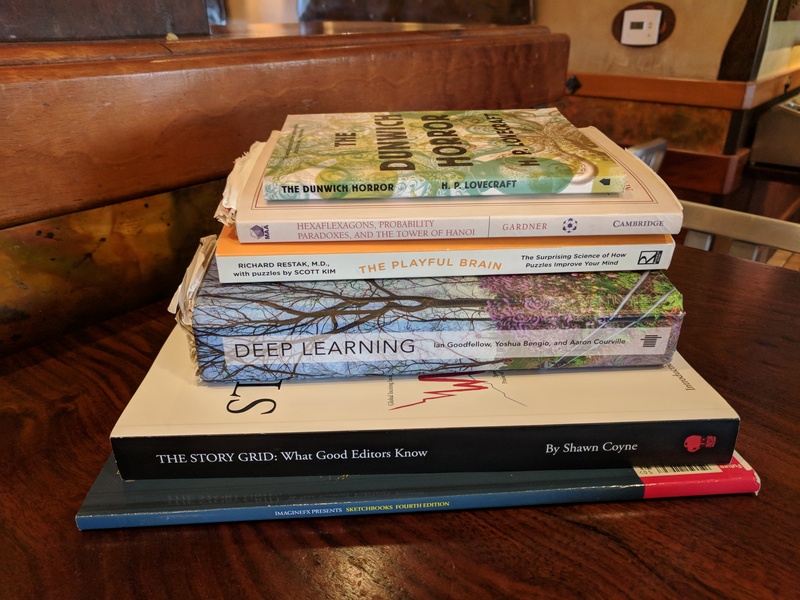 So many times this month, a pile like the below was on my table, awaiting my perusal, only to be put back into the bookbag or tote bag after I finish my writing. 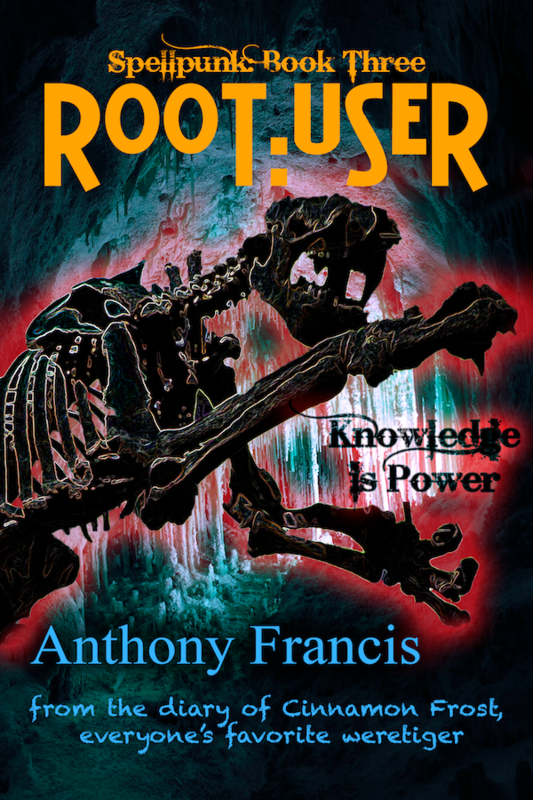 There’s a problem in deep learning I’m trying to crack, and some mathematics I need to know to do it, and research for the Cinnamon Frost puzzle books; but I know from experience I can take my whole lunch break or even afternoon diving into mathematics or programming or research. During Nano, I put the writing first. That forces me to go out into space in the story, even if sometimes I need reference when I edit the text. Take Time off to Write. I am always an antisocial loner, having to force myself to go to lunch with my coworkers (rarely) or to dinner with my friends (equally rarely) or my writing peeps (less rarely, since I can excuse it to my brain as writing related). This isn’t because I don’t like the people that I like, but because I want to finish my books before I die. (I have a lot of books planned). 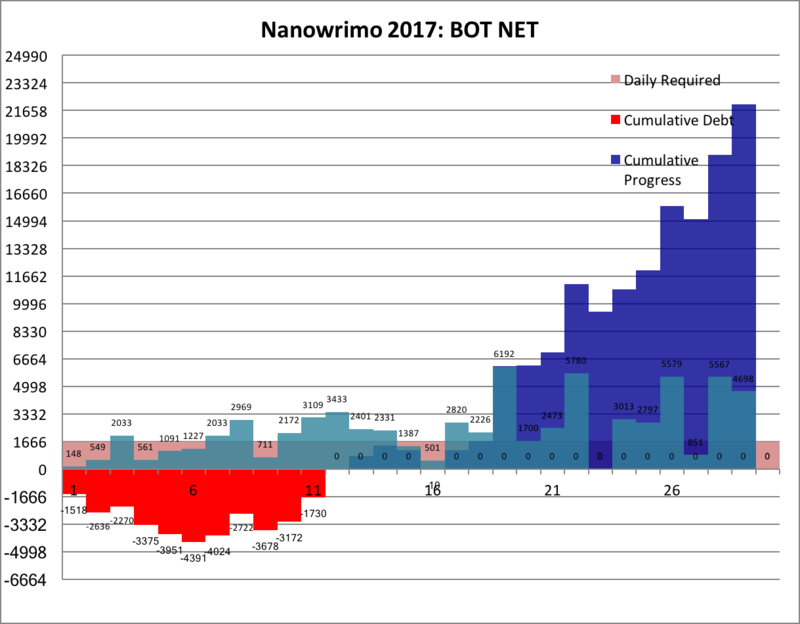 During Nano, I’m even more jealous of my schedule, taking lunch breaks to write, sometimes bailing on group writing sessions to be alone, and, the big one, taking off Thanksgiving week to write. 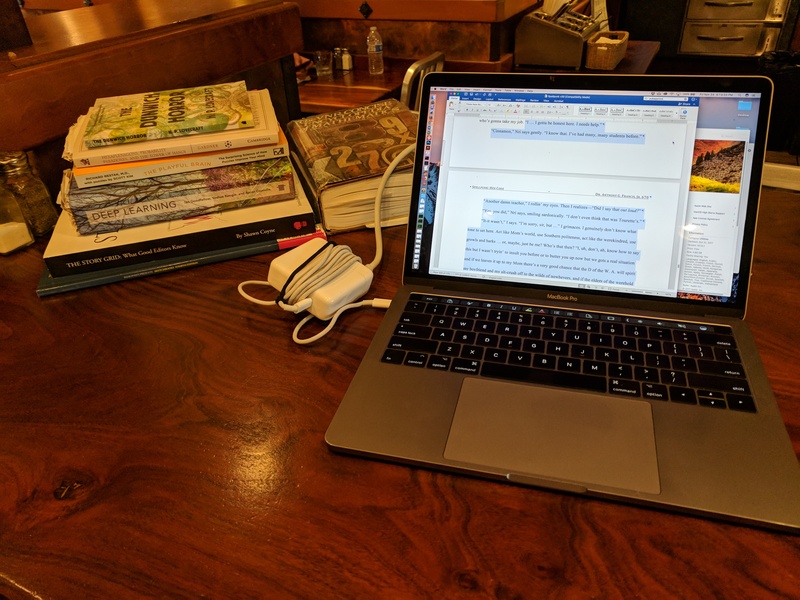 This year, for Night of Writing Dangerously, I got a hotel room, holed up in San Francisco after the Night, and wrote like mad. 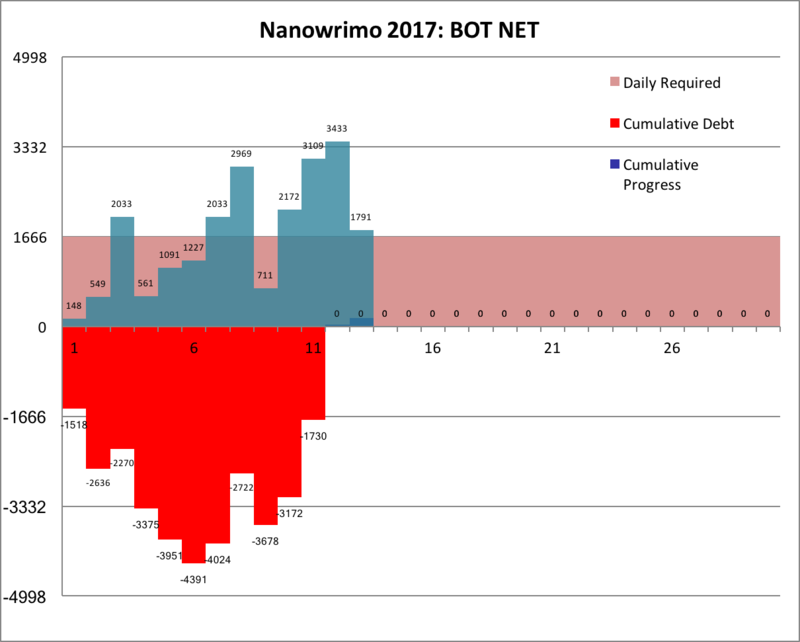 I almost finished BOT NET during this writing jag, and ended up finishing six days early because I took this time. Reject your Comforting Illusions. This last one is the most dangerous advice which may not work for you or even apply to you, and it can be the hardest, but it is this: put getting the 1,666 words a day ahead of your imagination that you need to wait for your muse, or plot your story, or be in the mood, or anything else. Write crap if you have to. It counts (1 word). Write bla bla bla if you have to. It counts (3 words). 1,662 words to go. Feel that this isn’t working for you? Write “Nanowrimo isn’t working for me!” (5 words) or, even better, “National Novel Writing Month is not working for me!” (9 words). Feel this is a cheat and a sham? Write that down! (I guarantee explaining your feelings will get you more than 9 words). Even better, write down what’s wrong with your story and why you can’t write any further and what you wish you were writing. That explanation in text will count as words … and, more importantly, will probably start turning into text. Put another way, feel free to work out your frustrations and even to outline in your manuscript. It will become true words on the next pass … and will put you ever closer to the end of your story. Once you have a path from beginning to end, believe me, you can revise it into a story that you will truly love. 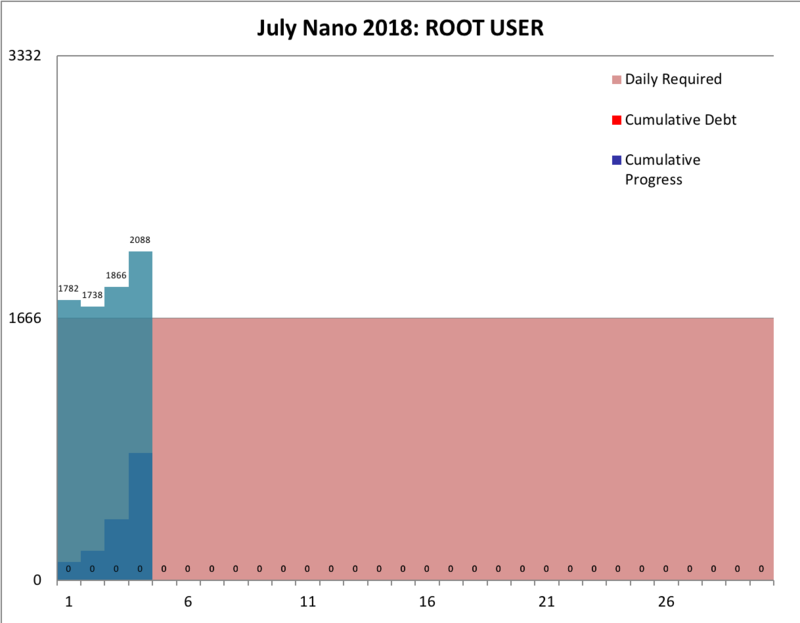 So, that’s it: if you want to succeed at Nano, put Nano first. Turn off your Internet, tune back your blogging, put off your research, and take time off to write. 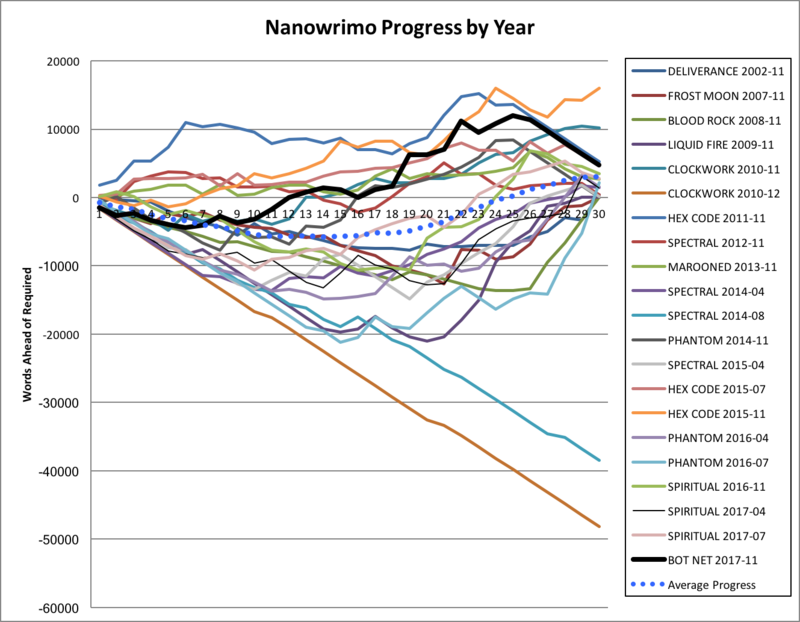 Most importantly, throw off your comforting illusions, feel free to outline or even to vent in your manuscript, knowing that each word you write isn’t just getting you closer to success at Nanowrimo, it’s getting you closer to having a beginning-to-end path through your story … which you can then revise into a finished product. And that’s how I succeed at Nano. Try it. It could work for you too. 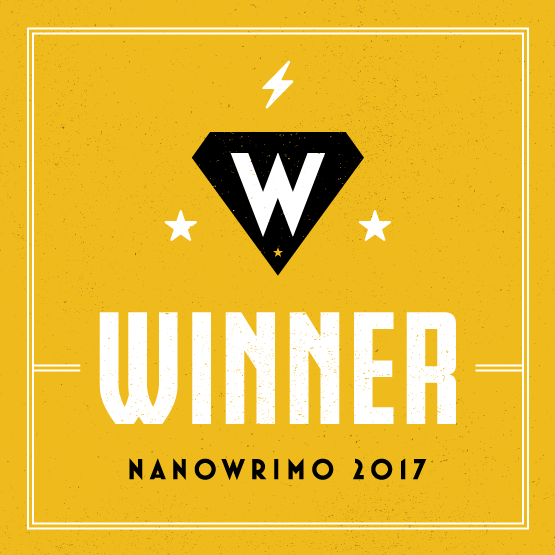 So, I just succeeded the 19th time at National Novel Writing Month! 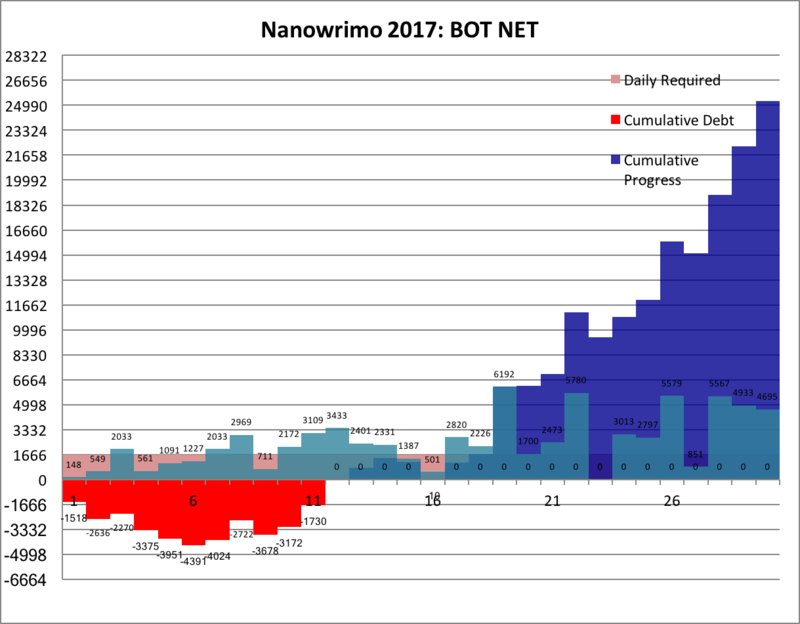 This year, I was working on BOT NET, the second Cinnamon Frost novel. 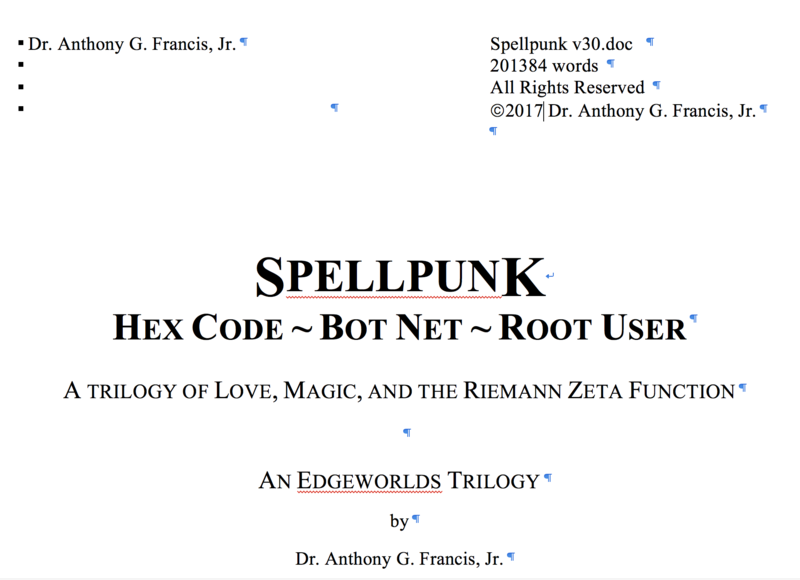 I’m writing these three books in one huge manuscript, which I successfully took from 179591 to 229911 words as of today! Nri stares, blinks, shakes his head, like he’s comin’ out of a trance. Ah, Cinnamon, you and your wacky hijinks. Thanks for coming into my writing life, wherever the hell you came from. 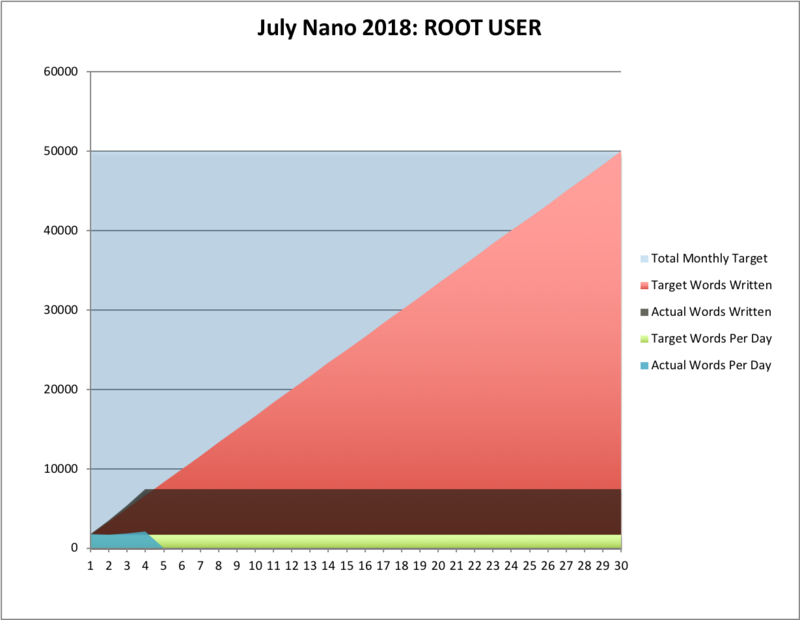 And now, on to all the things I’ve been putting off blogging while I’ve been working on Nano, including … how to succeed at Nano! (I hope you’ll agree I have some credentials in that area). Milestones are coming. And the first of these is catching up on my wordcount for my Nanowrimo project this November, BOT NET! 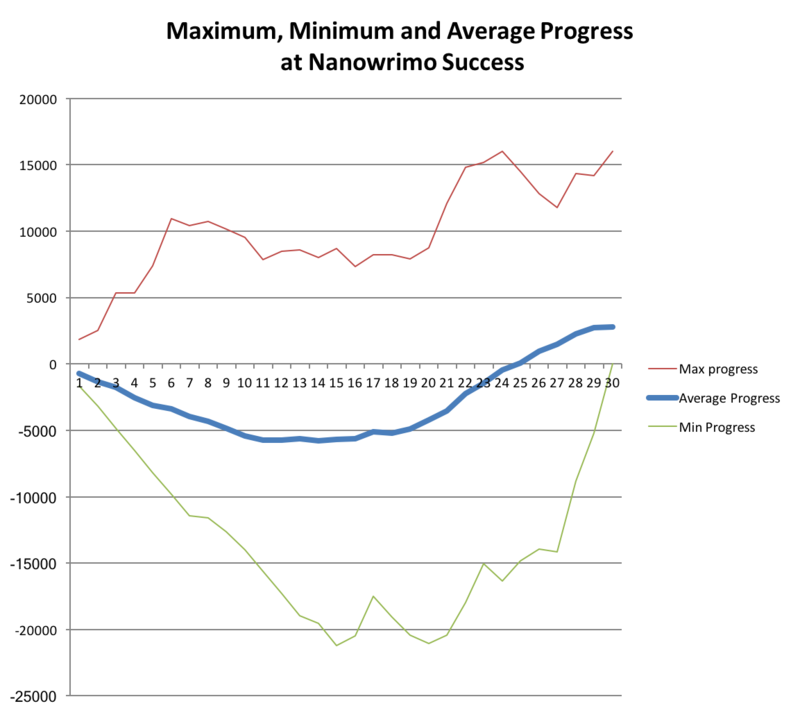 Winning at Nano always feels like climbing a hill, but for me in particular it almost always feels like I start out sliding back down, Sisyphus-like, as I struggle to get a handle on the story. But then there comes that magic point where I need to write 1,666 words in a day and I. Got. Nothing. Then I’m forced to be creative, and the real fun stuff happens, an event I call “going off the rails”. Hey, let’s try to embed a tweet! 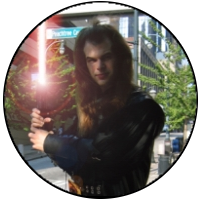 I’m one more thing too: 200,000 words into the Cinnamon Frost trilogy. There are 3 published Dakota Frost novels: FROST MOON, BLOOD ROCK and LIQUID FIRE, and three more finished rough drafts: SPECTRAL IRON, PHANTOM SILVER, and SPIRITUAL GOLD. By my count, I’ve written about 900,000 words about Dakota Frost, Skindancer, the woman who can bring her tattoos to life. But in one sense, that’s expected: I planned Dakota. 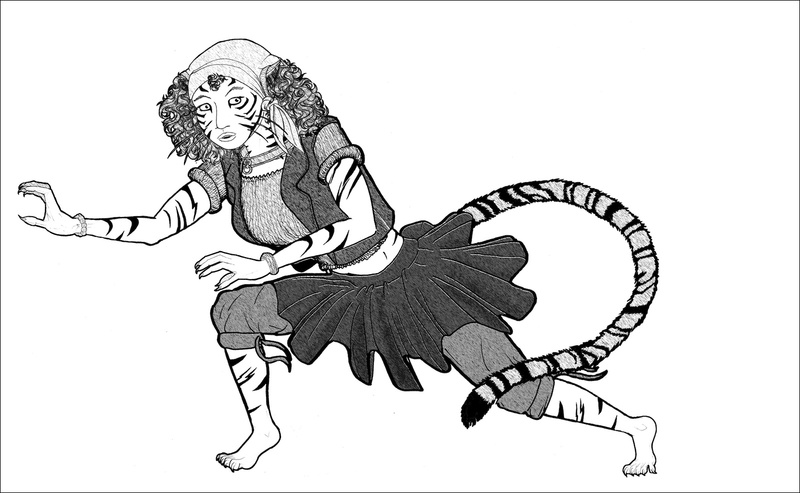 I wanted to write a character that other people who can relate to. Cinnamon Frost, as I’ve said before, is a character I never expected. She shoved her way into the Dakota Frost universe, in one of those “step off into space moments”, and she shows no signs of leaving. Cinnamon might say 200,000 seems significant because of how humans process patterns – how we love all those zeroes – but it’s just a number: 2*10*10*10*10*10. But somehow, it feels right to take it this far, and I look forward to writing the next 100,000 to 150,000 words that will finish her trilogy and give her a chance to live her own literary life.